Image Size 9 x 15 in. I was born and raised on a sugar cane farm in Kwazulu-Natal Province, South Africa and moved to Canada in 1989 settling in London. I am a partner in the business law group at Siskinds LLP. My interest in art was stimulated mainly by my father who painted recreationally in watercolour and oils. I began painting as a pastime in 2002. While working mainly in watercolour, I also paint with oils and acrylic and do mostly landscapes and seascapes with some urban scenes. 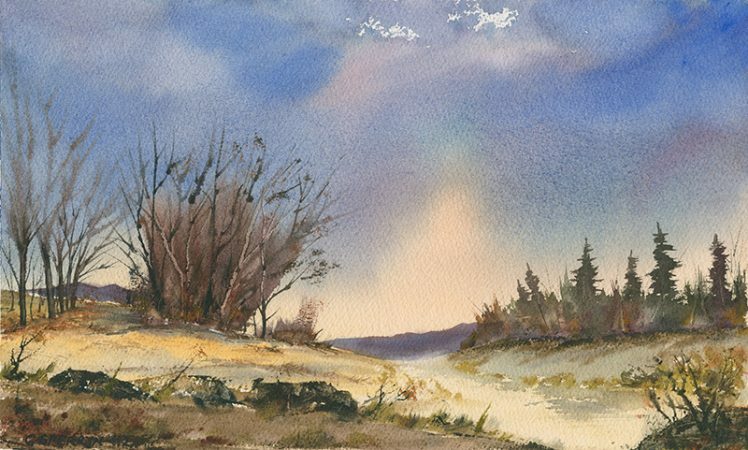 Artists who inspire me include Joseph Zbukvik, Herman Pekel, Alvaro Castagnet, Trevor Chamberlain, Milind Mulick, Sterling Edwards and the Group of Seven.